Disappointed by the loot systems in Anthem? You’re not the only one. Despite being a loot shooter, BioWare’s latest game has proved enormously unsatisfying when providing the most vital part of the genre – the loot itself. The good news is, BioWare seems to be aware of the problem, and is hiring new people to fix it. The developer has posted a number of new positions on its job pages, and all roles seem to be devoted to fixing the key issues players have had with Anthem since the game’s launch earlier this year – enemies, combat, rewards, items, and of course, the loot systems. Adding these various “System Designer” roles is a good sign that BioWare are not only committed to sorting Anthem’s problem points, but also suggests that the developer still plans to strongly support the game – despite the title’s lacklustre launch. The only problem now is, it will take a long time for these positions to be filled, and longer to get any hires up to speed – so it may be a while before issues such as the loot systems are corrected. Other Systems Designers are also being hired, for the areas of ‘Item Creation and Design’, ‘Store and Reward Pipeline’, and ‘Combat Balance’ – in other words, all the areas that players have complained about. Combat, in particular, remains a big issue – as enemies are either too easy to defeat, or bullet-sponges with overpowered abilities. 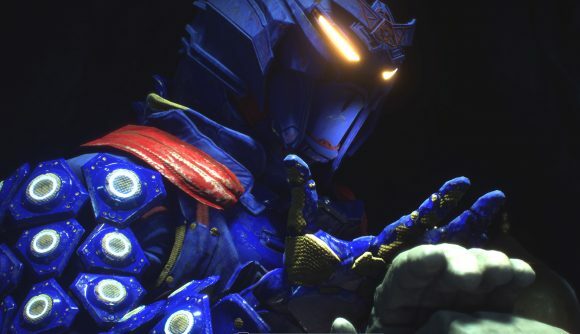 The Anthem community has been vocal about its disappointment in the state of the game’s loot systems since launch. While BioWare has made some attempt to correct this issue, such as boosting high-level loot drops in endgame content, it’s not really fixed enough – and newer content such as the Elysian caches have brought their own set of problems.